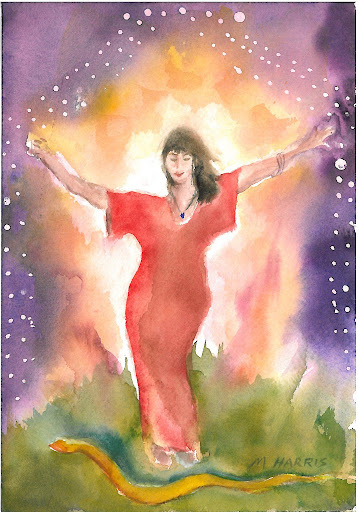 Mojo Monday ~ Women Making History – We Are All Meant to Shine! Sadly what still appears to happen in school in this country is that the history that is taught to our children still remains more focused on the accomplishments of men. History was one of my favorite subjects in school and I so loved it that I even went on to get one of my university degrees in history. One of the papers I wrote and still remember well was about Native American women warriors. Yet I can tell you as a History major that there never was much of a focus on the contributions of women. 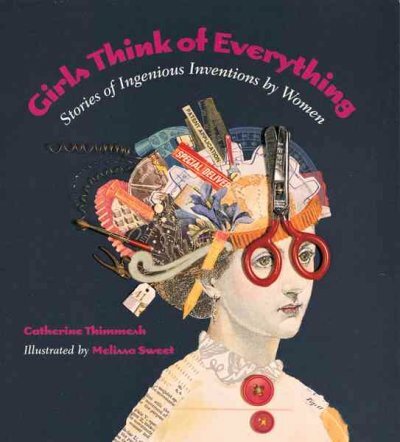 Recently though I spotted a book called Girls Think of Everything: Stories of Ingenious Inventions by Women by Catherine Thimmesh. 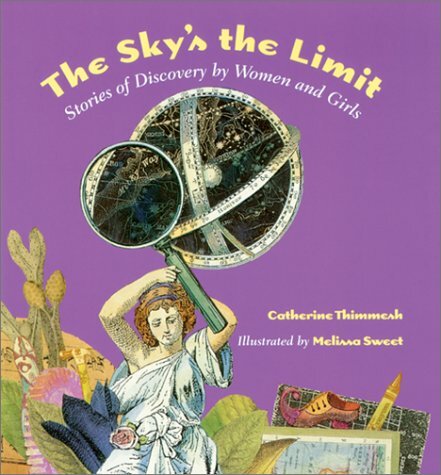 Spotting that one book led me to a wonderful discovery – that there are more incredible books out there that focus on the history of women and many have been written for children. As a mom to two little girls I was doubly excited about adding these books to our family library. One of my goals is to raise confident daughters with healthy and positive self images. Sharing with them the stories of the many trailblazing women in history not only allows us to honor all the women who came before, but also gives them models and opens up to them all the possibilities that lie before them. Here is a list of books that I am incredibly excited about reading and if you know of any books not mentioned that cover the history and contributions of women please leave a comment. There have been women trailblazers throughout American history; women have had a profound impact on the intellectual, social, and political development of our society. But many of their contributions have gone unnoticed. Most people have heard of Susan B. Anthony, Harriet Tubman, Margaret Sanger, and Eleanor Roosevelt. But did you know that a woman microbiologist discovered the bacterium responsible for undulant fever, which then led to the pasteurization of all milk? Or that a woman patented the paper-bag folding machine to make square-bottom bags (the grocery bag)? Or that a female mathematician’s work laid the foundation for abstract algebra? 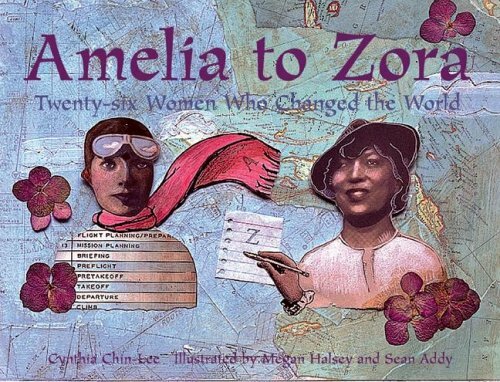 The women featured in Her Story range from writers, artists, actors, and athletes to doctors, scientists, social and political activists, educators, and inventors, and include women of all backgrounds and philosophies. The authors of Her Story, Charlotte S. Waisman and Jill S. Tietjen, have compiled an extraordinary collection of women and events that provides a unique view of history. Part of Her Story‘s distinctiveness is the inclusion of hundreds of lesser-known women from all walks of life who have broken barriers and created paths of noteworthy and inspiring achievement. From Sybilla Masters, the first American woman with a documented invention (although the patent had to be in her husband’s name), to twelve-year-old Becky Schroeder, who in 1974 became the youngest girl to receive a patent, Girls Think of Everything tells the stories of these women’s obstacles and their remarkable victories. 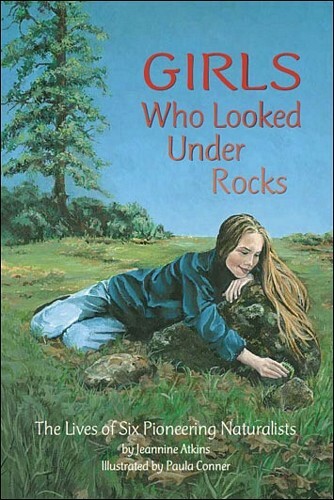 Girls Who Looked Under Rocks portrays the youths and careers of six remarkable women whose curiosity about nature fueled a passion to steadfastly overcome obstacles to careers in traditionally men-only occupations. The six–Maria Merian (b.1647), Anna Comstock (b.1854), Frances Hamerstrom (b.1907), Rachel Carson (b.1907), Miriam Rothschild (b.1908), and Jane Goodall (b.1934)–all became renowned scientists, artists and writers. Taking a chronological and historical approach, the book makes use of a question and answer format to respond to questions that students might be asked in class, or ask for themselves, about historical figures. Beginning with Native American women, the chronologically arranged chapters cover a variety of historical periods. Attention is given to abolitionists, the temperance and labor movements, and to developments in literature and science. Additional information in the margins and boxed highlights expand upon or add to the Q&A material. The author includes as much information as possible on Native American, African-American, Latina, and Asian women. When providing names, she often offers variants of first names and married names. She includes famous women such as First Lady Eleanor Roosevelt, Harriet Tubman, Elizabeth Cady Stanton and far less famous ones like Nanye-hi (Nancy Ward), a Cherokee elder and leader who led her people to victory and who negotiated peace agreements with white settlers in 1755 and Kaahumanu, a 19th-century ruler of Hawaii. An introduction to 26 diverse, 20th-century women who have made a difference in such varied fields as the arts, sports, journalism, science, and entertainment. 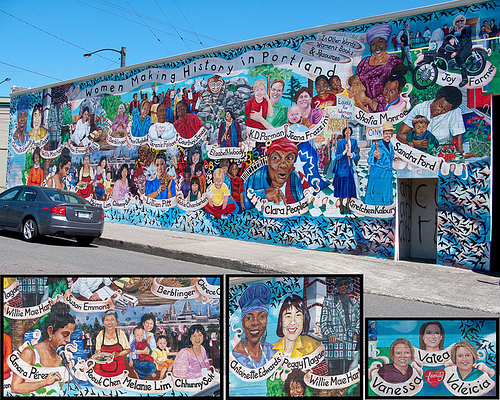 The entries include Dolores Huerta, Frida Kahlo, Lena Horne, Maya Lin, and Patricia Schroeder. Determination, imagination, perseverance, and strength are what bind them together. Entries are arranged alphabetically by first name; each woman is featured on a full page that includes a two-paragraph introduction, a quote, and striking mixed-media art that illustrates the essence of the person. 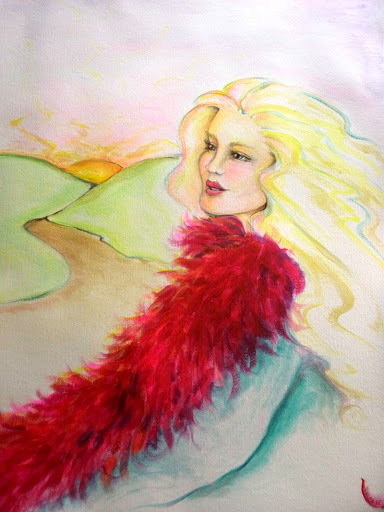 There is sophistication in both the quotes and in the art, encouraging repeated readings. The nuggets of information should inspire readers and leave them with a thirst to know more about these women. 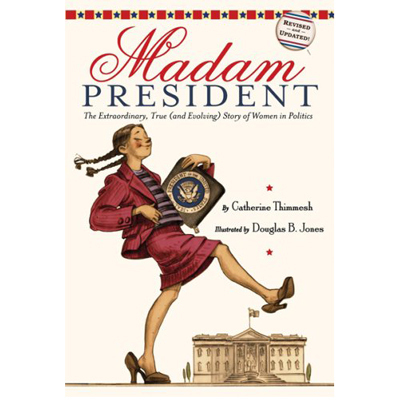 For your enjoyment here is a short video about how the book Her Story: A Timeline of the Women Who Changed America by Charlotte S. Waisman and Jill S. Tietjen came into being. 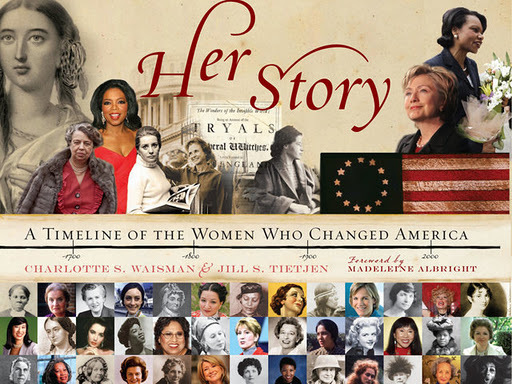 Her Story: A Timeline of the Women Who Changed America from Her Story U.S. on Vimeo. Again if you know of any books not mentioned that cover the history and contributions of women please share it in a comment.